Wow, I always brought mine from home (but that was for Adam Sandler films & rom coms). They are fairly common on evilBay. There are actually different types depending on when it was issued. And, all I've seen on offer are sans pukey remnants. Although, some of the evilBay sellers would probably send it "used" if you requested it to make a sale, then swear it was vintage vomit. Another time machine worthy moment. 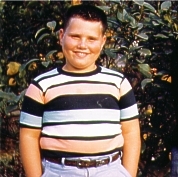 I was just a dirty thought in my Dad's mind in '58. gog - What monsterkid wouldn't want to buy a ticket to see this movie? 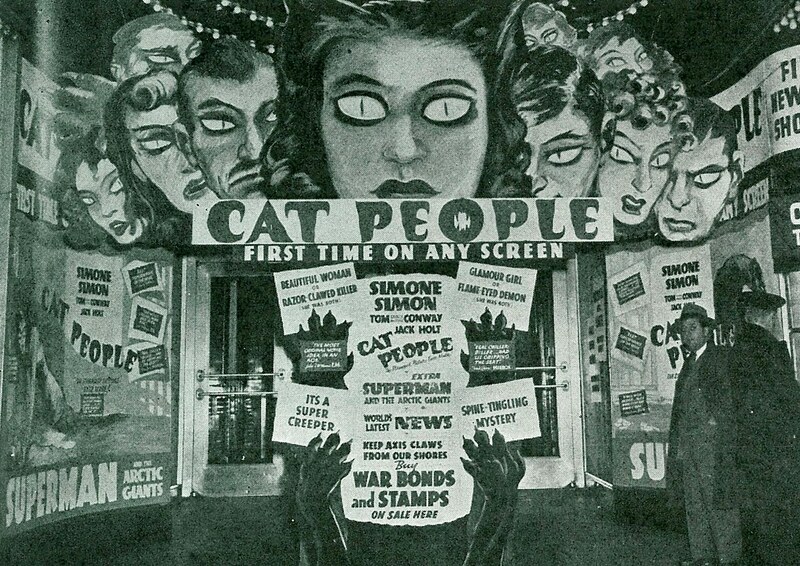 The Cat People - The Rialto - New York City, 1942. The Body Snatcher - RKO - St. Louis, Missouri - 1945. 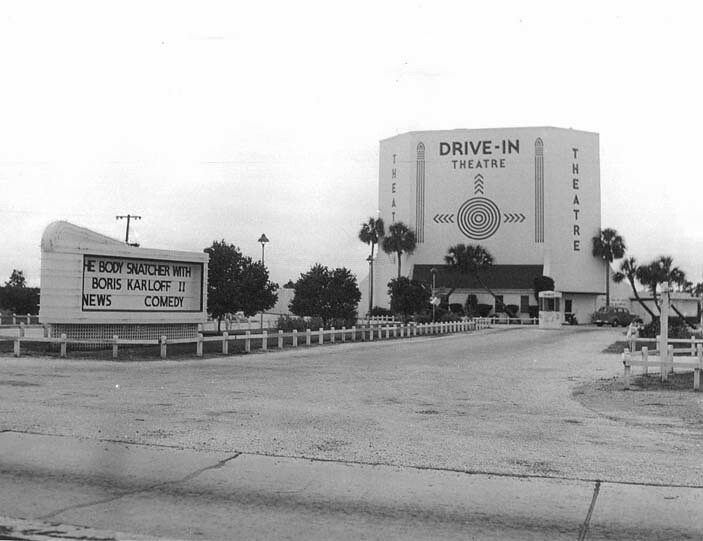 The Body Snatcher - Hillsborough Drive-In - Tampa, Florida - 1945. (How cool would it be to be a young guy with a 40's convertible and a cute date seeing this a first-run feature on a warm summer night? 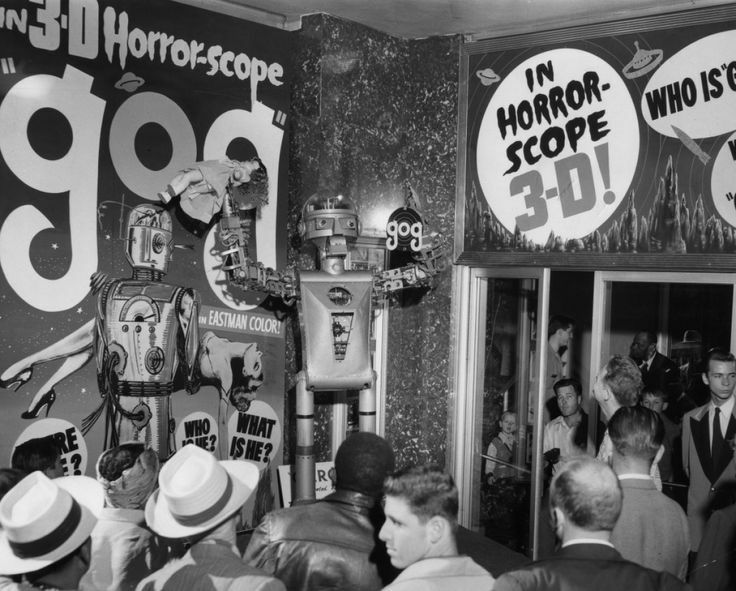 I would love to have that robot standing next to my flatscreen! I don't I've ever seen gog? Is it good? Never saw this one. It was not on official VHS or DVD for a long time. MGM has it out on Made-On-Demand DVD-R with no extras. 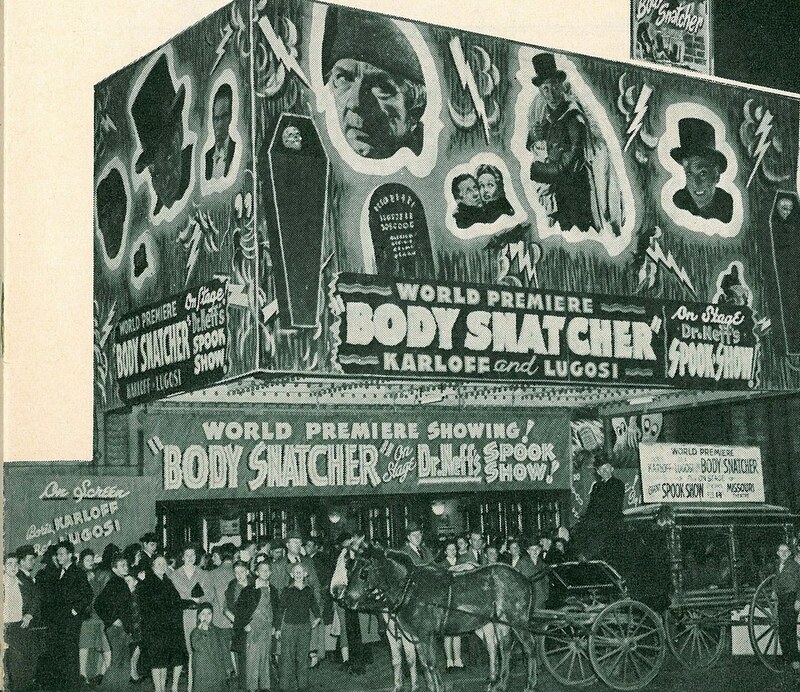 Wow, I would have loved to have been at that "The Bodysnatcher" premiere. Multiplexes have no personality whatsoever. 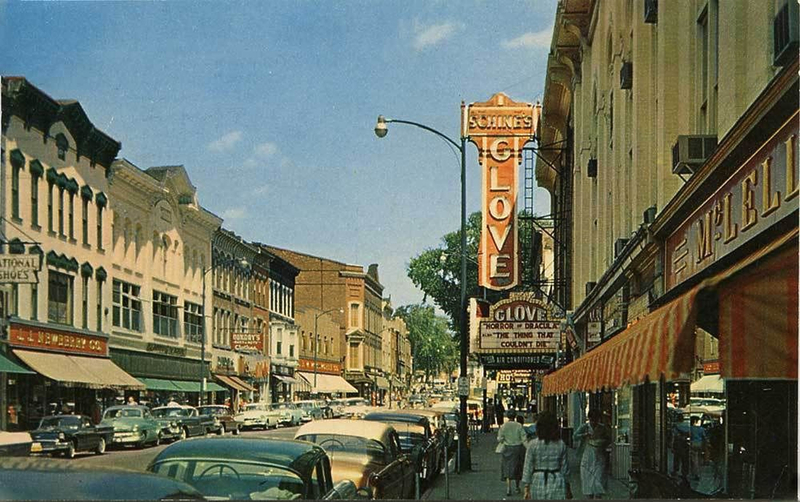 I don't I've ever seen gog? Is it good? "gog" is one of the 3 sci-fi films produced by Ivan Tors in the mid '50s. 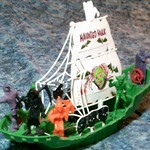 "The Magnetic Monster" and "Riders to the Stars" were the others. If you're a big '50s sci-fi fan, you'll want to own them (but you'd already know that). Definitely worth seeing, even if you're not. All 3 turn up on TCM about once a year. I would love to have that robot standing next to my flatscreen! That's GARCO. He's not in the movie, but they used him to promote it. Since reviews mention gog and magog, I figured this was the one not on the poster. Just how much time HAVE you spent in the dark during your lifetime? Wow! That was a great article Mike, I somehow have never heard of Garco until today? Unless it was in my youth and I had since forgotten. But I was born in 73 so it may have been old news by the time I was of age. As for 50s science fiction I have been trying to watch as many as I can get my hands on and catch up. I used to catch alot of them on the wtbs matinee s and late night movies growing up, thats also where I first saw all the godzilla flicks too.